A long weekend travelling from Canberra to Morwell and Churchill, Victoria, via Mt Delegate VK3/VG-034, Goonmirk Rocks VK3/VG-048 and returning via Mitchell River NP, Lind NP and Coopracambra NP. 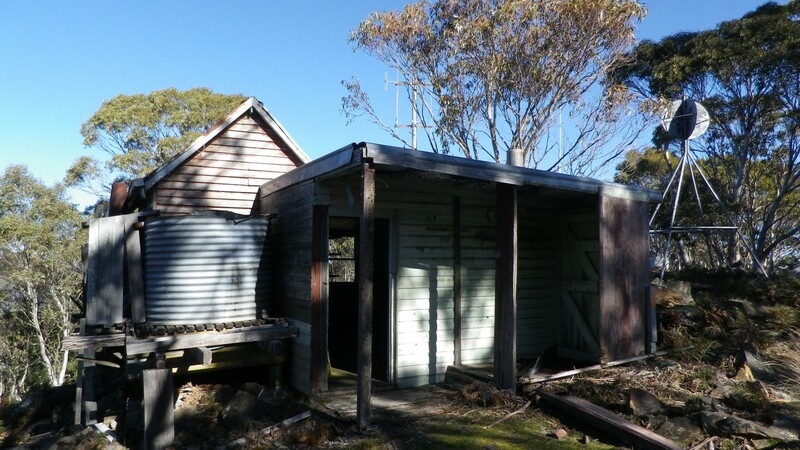 For this year’s trip to the Gippstech conference in Churchill, Victoria, I travelled with my brother Chris VK1DO and had selected several SOTA summits for activations on the southerly leg of the trip. I used the IC703 for all radio activations, powered by a 4200 mAH LiFe battery. The battery was recharged after two activations. We left the Canberra area on time at about 7:15am and arrived at the Nimmitabel Pie Shop on time just after 9am. Powered by coffee and food we forged on to Mt Delegate where we were on air by 11:10 local time. 30 contacts were made on 40m by 11:46, followed by one contact on 20m with VK6MB. 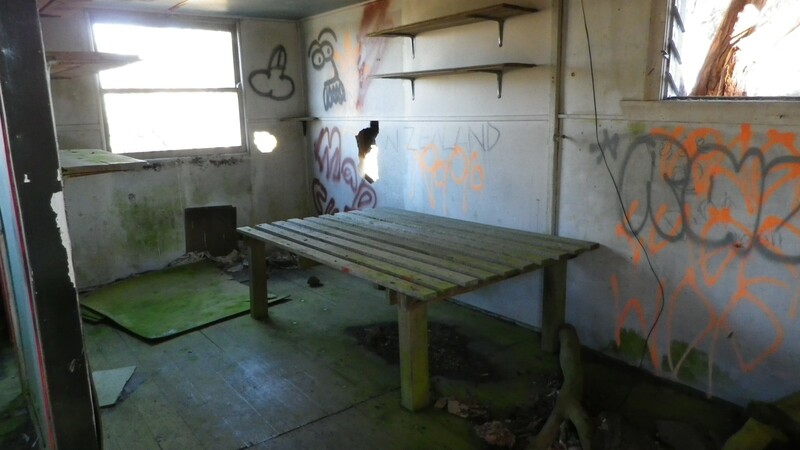 Inside the hut. Air conditioned. Leaving Mt Delegate we turned southwards at the T junction and headed to Bendoc, then to Goonmirk Rocks, by continuing southward along the Bendoc-Orbost road. This was a good gravel road and we made good time along it to the junction with Gunmark Road. The parking spot for Goonmirk Rocks is about 10km along Gunmark road, travelling east and south. Again this road is a reasonable gravel road in fair condition. We were travelling in a comfortable 2WD car. At Goonmirk Rocks we parked near the gate on Coast Road (where the gate post had apparently been ripped out of the ground) and walked about 2km up to the operating position on the road next to the summit peak. It is a gentle slope and an easy walk. Starting on 40m again, we logged 26 contacts followed by 4 on 20m, including VK5WG, VK6MB, s58AL and VK2KTT. This site is within the Errinundra NP, VKFF-158. See ParksNPeaks for details of SOTA summits/National Parks names/VKFF numbers. The raw data about each summit can be found on the tab labelled “Data tables”. Left Goonmirk Rocks at 2:20, back at the car by about 2:40, then almost 2 hours on the continuously winding road to Orbost, where we stopped for refreshments. There is no point trying to make highway speeds on that one. Calling it the Bonang “Highway” is an example of country humour, I think. The leg from Orbost to Morwell took about 2h45, travelling mostly at 100 km/h. The main towns passed are Bairnsdale, Sale and Traralgon. The pub dinner at the Top Pub in Morwell has become a standard feature of the Gippstech weekend, with the usual BS sessions where tall tales are told about the DX worked, the DX just missed, the QRM that made it impossible to get the DX etc. Plus the food portions served are generous. The Gippstech technical presentations started at 9:00 on Saturday morning in a lecture theatre at Federation University, Churchill (previously known as the Gippsland campus of Monash University Melbourne). Ably chaired by Peter Freeman VK3PF the sessions proceeded throughout the day, punctuated by coffee breaks, with some new and used equipment on display and for sale. The transverters designed by Graham vk3XDK were on display with the Eastern Zone club’s table offering printed and CD versions of past proceedings. Following dinner on Saturday night and a morning of more technical presentations, a pizza lunch marked the end of the conference and after saying our farewells to the large number of friends we set off back up the highway. 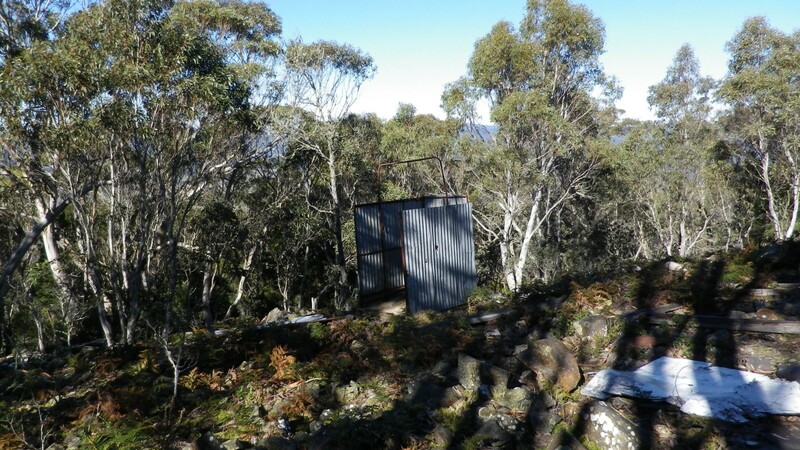 Due to overnight snow, the SOTA activations considered before the weekend were dropped in favour of activating Mitchell River National Park for both the VKFF award and for the Keith Roget Memorial National Parks award. I had discussed several possible National Parks with Peter VK3PF on Saturday night and on Sunday morning Peter kindly presented me with notes and Google trip instructions for three such parks. Thanks again, Peter. Following those instructions we left the Princes highway between Sale and Bainsdale, drove about 25km up a sealed road, then about 5km on gravel to find the Mitchell River National Park. With the squid pole attached to a fence post and the radio on another fence post, we made 17 contacts on 40m. The next morning after leaving Orbost we were travelling towards Cann River. The highway passes Lind National Park so it was dead easy to stop on the side of the highway, locate the antenna and radio inside the park and make 13 contacts on 40m. From Cann River travelling north on the Monaro Highway, the Coopracambra NP is located to the east of the highway and a short drive up the forest road took us to a T junction where there was ample space to stop and make another 17 contacts. The activations of summits and national parks this weekend made a big difference to the road trip. I always enjoy a field operation, no matter how short or limited it is. The SOTA and National Parks angles add a motivation to it and having the stations worked say how much they appreciate the contacts is also rewarding, adding to the fun. Equipment used: Icom IC703, 10 watts output. Antenna: linked dipole made using chopping board insulators, spade lugs and a BNC connector at the centre insulator. Power: LiFe (Lithium iron) battery pack 4200 mAH.